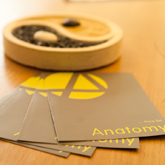 Here at Anatomy Chester we can also use acupuncture as part of your physiotherapy or sports rehabilitation treatment. It can be used alongside conventional physiotherapy techniques to treat a variety of physiological and psychological conditions such as muscular and joint pain, stress and anxiety. The training our practitioners have received enables them to use highly effective techniques that can help to eliminate your pain and tightness, and even make you sleep better.